Very Good. No Jacket. 8vo. No creasing to spine, photographic card covers. Fair. No Jacket. 8vo. Owner's notes to first page, underlining to final page and at least one note within the text. Light creasing to spine, photographic card covers. Very Good unused condition. This book is in stock now in our UK premises. Photos of most of our books are available-please ask, as dustjacket and cover illustrations vary and the pictures you may see are often not ours. Overseas buyers also note that shipping rates apply to packets of 1Kg and under, and should the packed weight of an item exceed this we reserve the right to ship via 'Economy', or cancel, or request extra postage prior to fulfilling the order. Another disappointment, I'm waiting for him to come back to life, as an American. this book is very well written. Though, at times i had to reread the paragraphs to make sure I fully understood. Not the easiest read. I enjoyed the personal references that Obama used. Good to read if you have a strong interest in politics. Well written and very logically laid out. I found it a good introduction to politics. A rare book that kept me interested from beginning to end. It sparks my desire to read his first book. My 100 year-old mother voted Democratic for the first time in the 2008 presidential election; she checked with nursing home staff repeatedly on election night until told Barack Obama had won. She is enjoying this book so much I think she resents visitors who take her away from it! This is a great book. 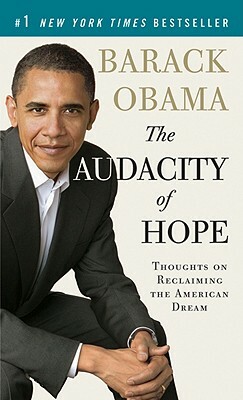 It takes the reader on Obama's senatorial journey and helps in understanding his philosophy.